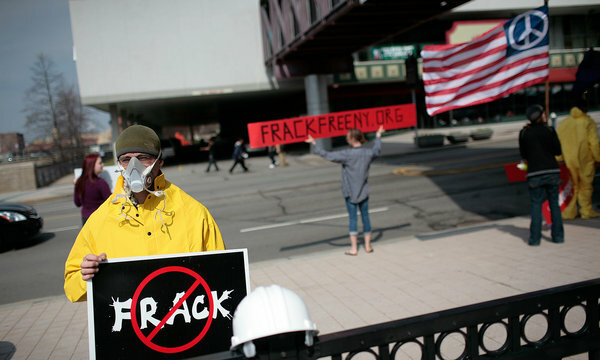 Anti-fracking protesters outside of the GOP state convention in Rochester earlier this year. Ten days ago, after nearly four years of review by state regulators, the governor bowed to entreaties from environmentalists to conduct another study, this one an examination of potential impacts on public health. Neither the governor nor other state officials have given any indication of how long the study might take. Then on Friday, state environmental officials said they would restart the regulatory rule-making process, requiring them to repeat a number of formal steps, including holding a public hearing, and almost certainly pushing a decision into next year. 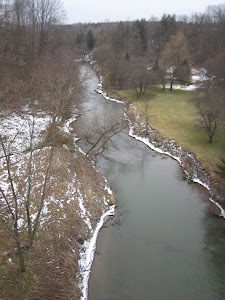 The move also means that after already receiving nearly 80,000 public comments, the state Department of Environmental Conservation will be soliciting more input from New Yorkers about hydrofracking, or fracking, as the drilling process is known. The developments have created a sense in Albany that Mr. Cuomo is slow-rolling fracking into oblivion. The governor has been influenced by the unshakable opposition from a corps of environmentalists and celebrity activists who are concerned about the safety of the water supply. The opponents include a number of people close to the governor, including Robert F. Kennedy Jr., a longtime environmental activist in New York whose sister is the governor’s ex-wife. In a little-noticed Aug 2012 report, Bloomberg News reported that gas and oil energy companies failed to comply with their own voluntary plan to disclose chemicals in their operations — and, further, failed to report on the very existence of half of their wells. 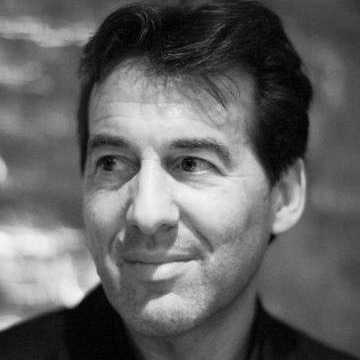 The report analyzed the efficacy of “FracFocus.org” — a voluntary reporting mechanism designed by oil and gas companies amidst growing calls for mandatory disclosure and federal guidelines of the highly controversial technology. “Energy companies failed to list more than two out of every five fracked wells in eight U.S. states from April 11, 2011, when FracFocus began operating, through the end of last year,” according to the Bloomberg report. Bloomberg investigators compared corporate oil and gas well records from eight states — Arkansas, Colorado, Louisiana, Montana, Oklahoma, Texas, Utah, and Wyoming — against disclosures that companies made for those states on FracFocus. More than half of new wells went unreported on FracFocus in each of three states: Texas, Oklahoma, and Montana, according to the report. 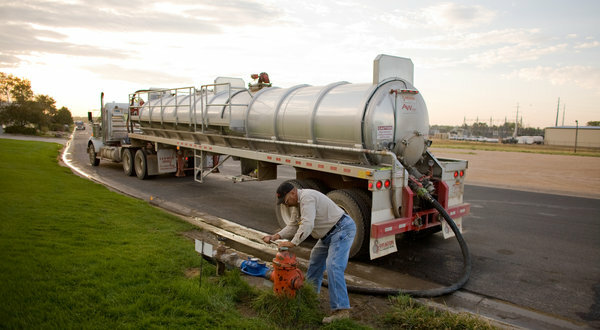 Bob Bellis filled his tanker at a hydrant in Greeley, Colo., in August to supply a drilling site. Lease deals with oil companies are important revenue sources for cities. “It’s not a level playing field,” said Peter V. Anderson, who grows corn and alfalfa on the parched plains of eastern Colorado. “I don’t think in reality that the farmer can compete with the oil and gas companies for that water. Their return is a hell of a lot better than ours." New York Governor Andrew Cuomo is in Charlotte today for the Democratic National Convention; he delivered an aggressive speech this morning to his state's delegation, sharply criticizing the Republicans. 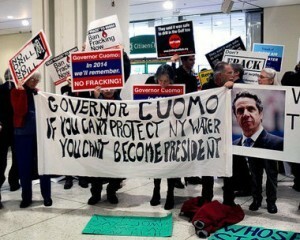 But even in far-away Charlotte, Cuomo can't avoid the growing chorus back home calling on him to reject the controversial natural gas extraction process of hydraulic fracking. While Cuomo's Administration has delayed its final decision, it signaled in June that it was preparing to allow fracking in five counties in the southwest part of the state. A strong grassroots citizens coalition is growing in those counties and across New York state, concerned that fracking -- which pumps massive amounts of chemically-treated water underground -- may contaminate air and water and make local residents worse off. Today the advocacy group Food & Water Watch, joined by scores of New York and other groups, published a full-page ad in the Charlotte Observer pointedly warning Cuomo, a potential future presidential candidate,"IF YOU FRACK NEW YORK, THE GROWING NATIONWIDE MOVEMENT TO STOP FRACKING WILL REMEMBER IN 2016." [T]he delay is only empowering opponents, some of whom have now taken to civil disobedience and other disruptive acts. While everyone supports the right of people to express their views, we see a situation where opponents are distorting the facts and trying to impose their views of what is right in our community.